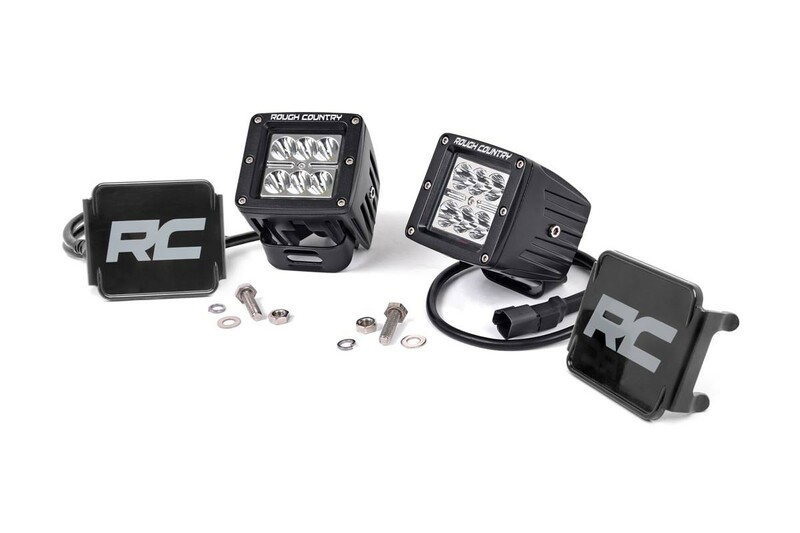 Stay out later on the trails with Rough Country's affordable set of 2-inch Square Cree LED Lights. This all-inclusive kit features everything you need to get going while the compact size makes it perfect for adorning a bumper, hood, roof, or anywhere you can imagine. See the trails with 36 watts and 2880 lumens LED lights. These all-weather lights feature a durable, die-cast aluminum housing and include a wiring harness and an attached low-profile mounting bracket!